Sometimes it seems like it would be simplest in life if we had a set of instructions or orders to carry out. If we had a set of directions that would lead us straight to success, many of us would probably be really great at following them! But something as big as Success just can't be that simple can it? And how could it be? If it were, everyone would be at the top and we would, again, all be mediocre and average from following the same set of instructions. 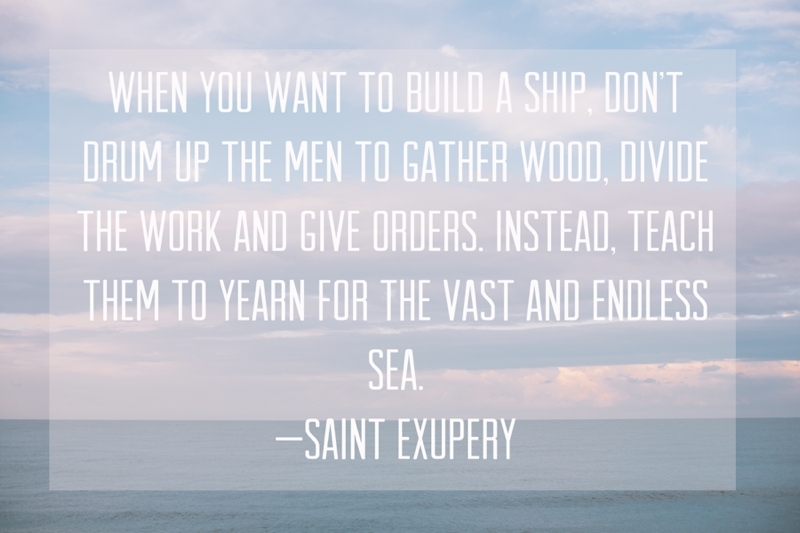 He's certainly not the first to suggest it, but Saint Exupéry is right on target with his thoughts here. Another translation I read said, "awaken within men the desire for the vast and endless sea." So here we are. Monday morning. There is no clear, exact and universal path that gets us to Friday as better, and more successful, seamen than we are today. But we have within us the ability to awaken our desires and therefore get closer to where we really want to be.